The infamous "Broken Arrow" band.....Tony Noles, David Teague, and Bo Price. After many years of individual musical journeys, Bo Price, David Teague, and Tony Noles have at long last come together as Pensacola Florida's own Broken Arrow. 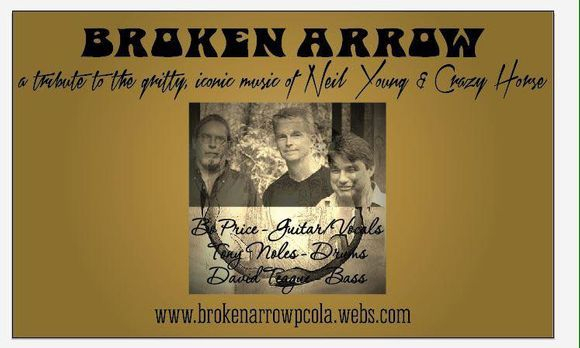 Come join the Broken Arrow boys as they bring back the timeless storytelling of Neil Young and the driving, incessant grunge of Crazy Horse. You don't want to miss it! Special Gallery Night Show Coming Soon ! Stay tuned !